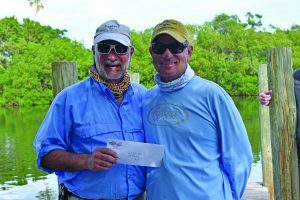 BY MARCY SHORTUSE – It was another winning year for Capt. 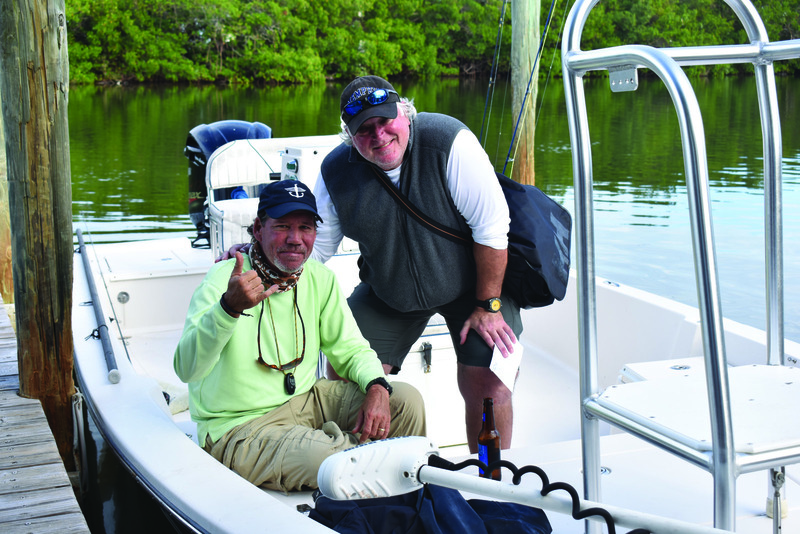 Sandy Melvin and his angler, Patrick Waterhouse, on Tuesday, Nov. 21 as the 24th Annual Gasparilla Island Fly Fishing Tournament was held. 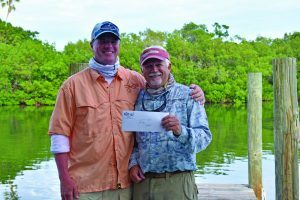 They took the top spot with a 19-inch trout. “We raised $1,500 to support our Pass camera project,” tournament founder Melvin said. 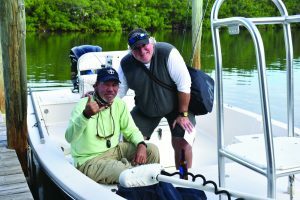 “You can watch from website go2boca.com right now, and it will soon be available on the Gasparilla Outfitters site (4tarpon.com), the Gasparilla Island State Park website and the Boca Grande Chamber of Commerce site. The web cameras will replace the sunset cam and the Pass cam that were on the Boca Grande Chamber of Commerce website. Technical issues took them down, and Melvin took over the task of replacing the cameras and the server.